The Egyptian National Railways awarded Talgo a EUR 158 million contract for the supply of 6 complete trains composed of a diesel-electric locomotive, a power car and 14 passenger cars. 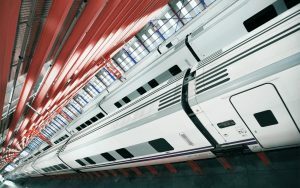 The order also includes the integral maintenance of the Talgo units for at least 8 years. The new trains will be delivered during 2021 – 2022. The new trains, which will run at 160 km/h, will be deployed on country’s main rail connections linking Alexandria, Cairo and southern city of Aswan. The new trains will have a capacity of 492 passengers at first and second class, spaces specifically designed for travelers with reduced mobility and a restaurant car. They will be equipped with onboard WiFi connectivity, infotainment systems with LED screens in each of the seats located at first class. In 2016, ENR launched the tender on the train procurement financed by the European Bank for Reconstruction and Development. The final phase of bid submission was closed last October 2018 and on April 6, the company announced Talgo as the winner of the contract.